A few days ago, the beau, the ladies and I decided to make a trip to our local mall and Incredible Dave’s and played a few video games, and bowled a game. 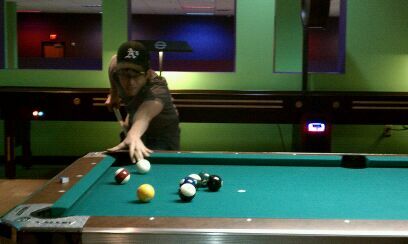 The real fun part for me though was playing some pool. 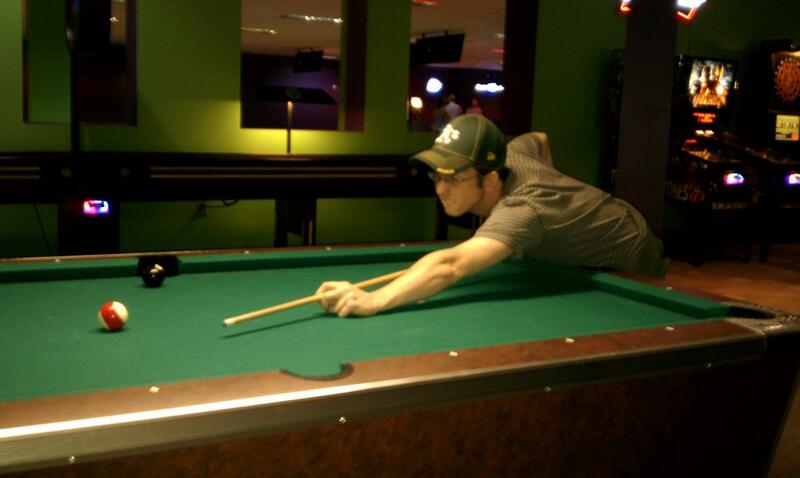 Growing up I had always seen my dad play pool and one of the interests that he bestowed on my sister and I was the love of playing pool. Still to this day, my sister and dad take a day a week to go out to their favorite little pub and shoot a few games. I, on the other hand, have let it take a backseat. My life just took a different direction and I just continually found myself not in places where I can actively enjoy it without putting myself in some late night, alcohol-driven place. 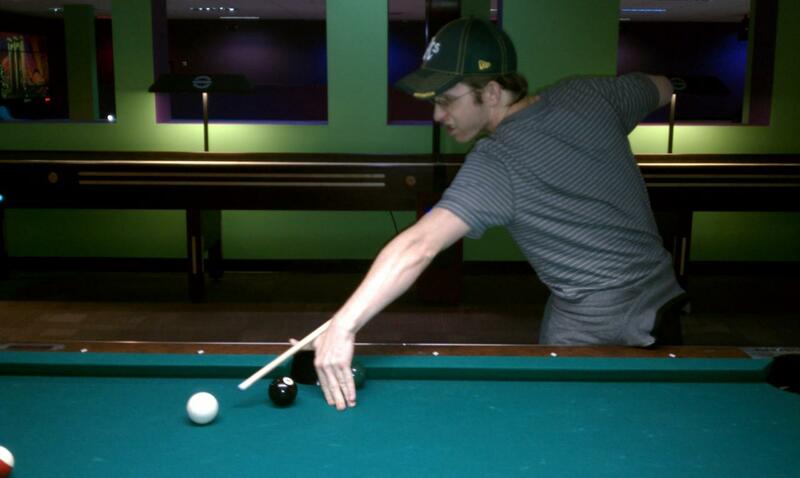 I eagerly asked the beau if he wanted to play, and not knowing whether or not he had even touched a pool cue before. He gave into my excitement and played a game with me, and then I played a final second game with my lady friend, Carol (who I mentioned in an earlier post). I think I have caught the fever again and will probably prompt the beau to a few more games in the future.